Wind turbines can be used as an alternate source of energy. Have you considered the advantages of using a wind turbine? They are not very difficult to make, they are environmentally friendly and they can help create electricity. Large commercial wind turbines create large amounts of electricity from a free energy source — the wind! 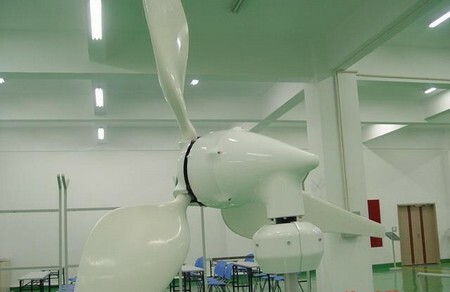 You can build your own wind turbine to help satisfy your electricity needs at home. Interesting idea, right? Give it a try. You can try to make a wind turbine yourself. Here is how you can build a wind turbine. Continuing reading to find out how. Begin with the generator. This is the single most important aspect of building a wind turbine. A DC motor is one option you can use when you design your turbine. However, Ametek motors are the best option to use for this project. You can purchase an Ametek motor online. You may even be able to find one at a discount price on a site like ebay. Next, you will need to construct a hub for your turbine. You can make this out of a few materials. The best choice is aluminum. It’s easy to work with and is very lightweight. Cut a circle out of whatever material you choose to use. Machine it on a lathe to make it a perfect circle. Puncture a hole the is the same size of your axle into it. Mount the axle on to it with a bolt. You can also weld this part together. Also make the holes for the turbine blades. Wind turbine blades may also constructuced from various materials. Some people prefer to use a thin metal, plastic or even PVC pipe. The essential aspect is to angle them correctly against the wind. You want the wind to push the blades to the side when it hits them. This will turn the generator. Construct a tower for your wind turbine out of a type of piping of your personal choice. We will use aluminum here. Use a 2 to 3 inch pipe. This will serve the purpose well. Attempt to make it a minimum of 12 feet high. The higher the tower is the more wind you will catch. Connect the wires to your generator. Run them down the new tower. Connect the wires to a charge controller. Now connect the charge controllers to your batteries. This is your system that uses free energy-the wind. You can test it and begin using it right away.